Whether circumstances, limiting beliefs, or people in your life have kept you from living your best life possible, you can break through and have the life you always imagined. It's time to go beyond your boundaries and stretch yourself to new capacity. Break through unthinkable will push through your barriers and force you to look at obstacles as stepping stones. 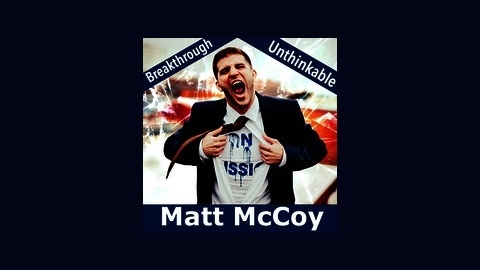 Don't miss a single episode with the inspiring host, Matt McCoy! 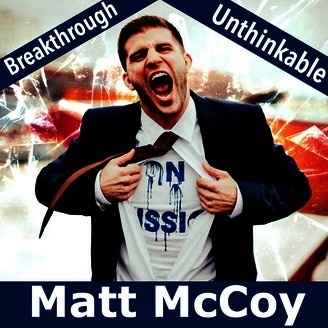 Matt McCoy wraps up the podcast with some final thoughts about the journey and the lessons learned.